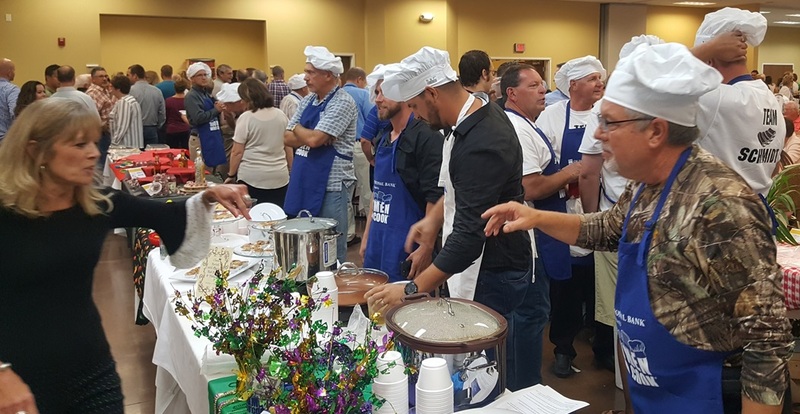 HUNTINGBURG -- The wild weather didn’t dampen the spirits of the hundreds who attended the bi-annual 100 Men Who Cook event at the Huntingburg Event Center Saturday night. Over 100 men came out to cook up their favorite dishes and serve the hundreds of hungry patrons who came out to enjoy the fundraiser. The event raised a remarkable $255,000 for CASA or Court Appointed Special Advocates. The fully restored 1976 Bronco from the guys over at Ruxer brought in a winning bid of $85,000 during the live auction portion of the evening. The Golden Spatula award, given to the top tip earner, went to 11-year-old Ian Keusch. He was the youngest chef in this year’s fundraiser. He said he wanted to join the adult chefs to help kids right here in our community.